Home » Health » Mugwort Benefits: Is the Herb Effective for Joint Pain, Depression, Malaria, and Cancer? You know that tall, purple-stemmed weed with fuzzy silver leaves and yellow or reddish-brown flowers that we pull out of our gardens every year? That is the mugwort herb. It has been used for medicinal purposes for centuries. From food flavoring to treating infertility, there are many reported mugwort benefits. Found in North America, Europe, and Asia, it can grow up to six feet high; it has a bitter taste and sage aroma. Before you reach for your snippers or gardening gloves, read on to find out more about the potential mugwort herb benefits and how they may affect you. Respected in various parts of the world as a tool for fighting many health conditions, mugwort is an herb from the daisy family. It is used for digestive issues such as colic, flatulence, diarrhea, and constipation as well as pain relief for headaches, fever, chills, nosebleeds, insomnia, and nervous system problems. For more than 3,000 years, it has been used in China for energy release through acupuncture points in a process known as moxibustion. Among the numerous uses for mugwort, four major health benefits have been reported. Some of these involve the ancient Chinese tradition of moxibustion. 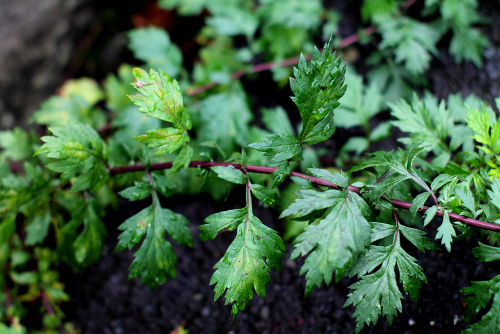 This technique sees the mugwort plant leaves formed into a stick or cone shape and burned over the body’s acupuncture points, in accordance with the ailment. It inhibits the release of energy while warming the acupoint to improve blood circulation of the area. The American Pregnancy Association reports one out of every 25 births results in a breech birth, where the baby’s head does not turn to enter the birth canal. Moxibustion was first used as a treatment for this situation by the Chinese. Practitioners stimulate an acupuncture point near the fifth toenail thought to create blood circulation and energy, allowing the fetus to move. The Journal of the American Medical Association published a study in which of 130 breeched fetuses, 75% were successful in reversing the position with moxibustion. Past and current research shows the artemisinin component may be toxic to some cancer cells. With iron levels higher in cancer cells than normal cells, the toxicity of the artemisinin seems to work towards these high iron levels. This component also results in being a natural antimalarial. With no cure for arthritis, any form of pain and stiffness relief is a gift to sufferers. Through moxibustion treatment, mugwort has been shown to reduce pain and improve range of motion, although temporary. In a Chinese study, 110 osteoarthritis patients were divided into two groups, with one receiving the treatment and the other a placebo treatment. After six weeks, the moxibustion group reported a 53% pain decrease with a 51% increase in mobility function. The placebo group had a 24% reduction in pain with a 13% increase in their mobility. Although it originates from a different species within the same plant family, St. John’s wort is linked to mugwort. More scientific evidence is needed, but there are some studies supporting the use of St. John’s wort for mild depression and anxiety treatment by balancing the chemical in the brain and boosting mood. However, it should be noted that the combination of St. John’s wort and certain antidepressants can be lethal, resulting in an extreme increase of serotonin. Please discuss the potential side effects of the herb with your doctor before adding to your health regimen. To date, there is no tangible evidence as to a safe or effective dose. As mentioned, it is always best to talk to your doctor or someone trained in medicinal herb use before taking. It comes in various forms such as pills, tea, extracts, paste, dried leaves, and various solutions. Check with a knowledgeable professional before ordering online as some states have made mugwort products illegal. As a food and beer flavoring, mugwort is a popular addition to some Asian dishes. It is used in certain Japanese dessert dishes and as a pancake and salad ingredient in Korea. Europeans use it to season meat and fish and as a special addition when cooking the German traditional Christmas goose. Since it is a member of the Asteraceae plant family, mugwort can effectively cause allergic reactions in some people. If allergic, you may experience sneezing, sinus issues, and even skin rashes. While commonly sold on the shelves as a dietary supplement and homeopathic preparation, there are conflicting reports regarding mugwort’s safeness for the general population. We have prepared a small list of the many allergens that are related to mugwort. If you know of any sensitivity or allergy to one of the items, do not use mugwort or St. John’s wort. In addition to those with allergies, others who should not use mugwort in any form include those who are pregnant, breastfeeding or in the stages of becoming pregnant. This herb that has been used since ancient times for various medicinal purposes can be found in your backyard. Mugwort, used alone or in a combination with other herbs, has had some success in treating mild and serious health conditions. 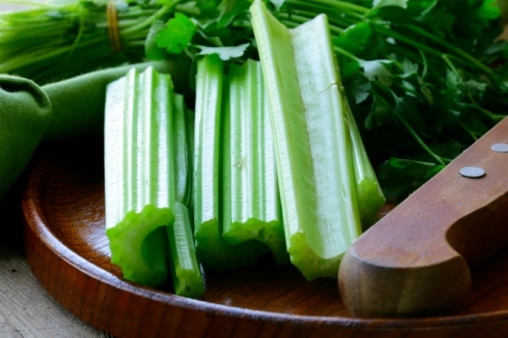 At the same time, it is commonly used in seasoning food and beer. As with any natural herb used for health benefits, it is best to discuss mugwort with your doctor. More information pertaining to your health concerns can also be discussed with a professional trained in herbal medicines. Morris, R., “Mugwort: A Weed With Potential”, Healthline, August 2, 2016; http://www.healthline.com/health/mugwort-weed-with-potential#Overview1, last accessed February 7, 2017.